For the 8 -bit I/O bus, I suggest to have a CE and/or CLK/STB pin, so the connected hardware knows when data is valid. 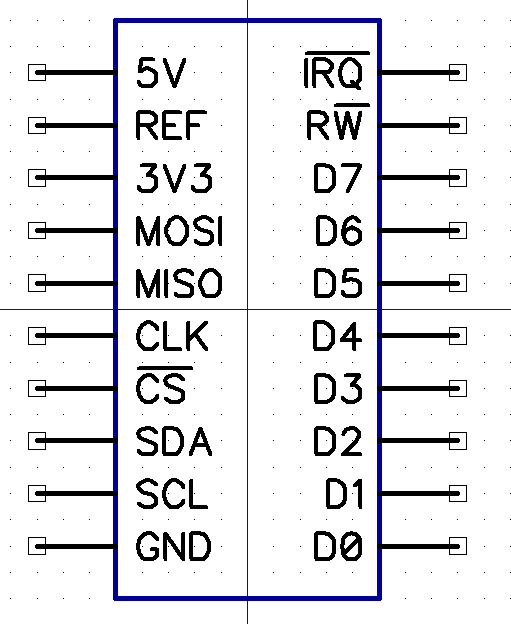 You can sacrifice the SPI interface and use that CS and CLK for that (and repurpose MOSI/MISO as an A0 and A1), after all it is programmable :). The intention was to share them, rather than sacrifice them as such. I’m expecting each device to be using one of these buses, not all three, really (although I2C is there no matter what, so it’s pretty negotiable for that one – I2C ID?). It’s not obvious from the text where does the Raspberry Pi come in. I suppose xobs’ plan was an add-on ICE board for the Pi? Yep, pretty much. 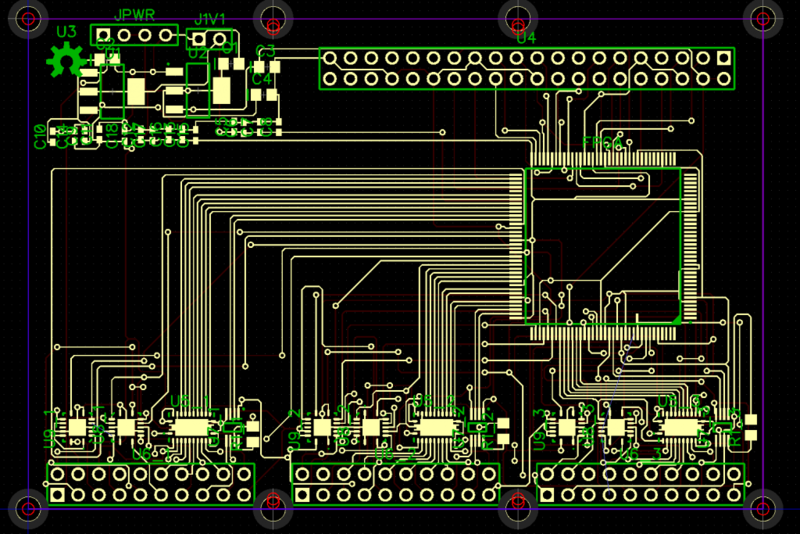 xobs wanted a board for the pi; I wanted a board for the novena, and the “output” halves looked the same anyway. The 40-pin connector on the board is wired for the Pi, but I could break out the Novena FPGA connector to the same pinout, or just use a few jumpers to the front panel SPI pins, and support both platforms. 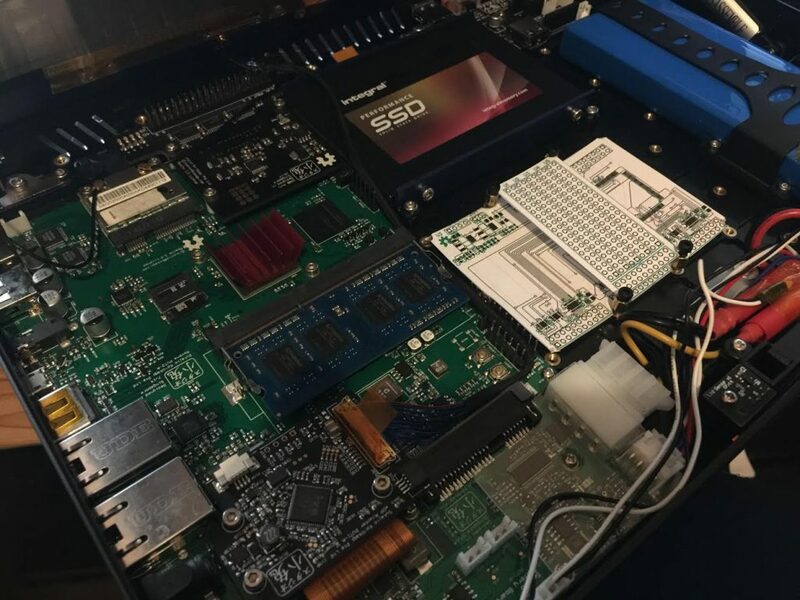 A proper breakout board for the Novena FPGA header would allow a bit more bandwidth, since more than just the SPI pins can be wired up to the iCE40 – there’s plenty spare pins in that bank.